Just had to go back and check everything drop by drop. Just like this lovely fountain in Regent's Park. great tie-in! glad you got the trouble fixed! Lovely photo, I love how you have composed it. i am always too eager to take standard shots and am not so good on creative composition. Glad you resolved your tech problems. Time for a back up? 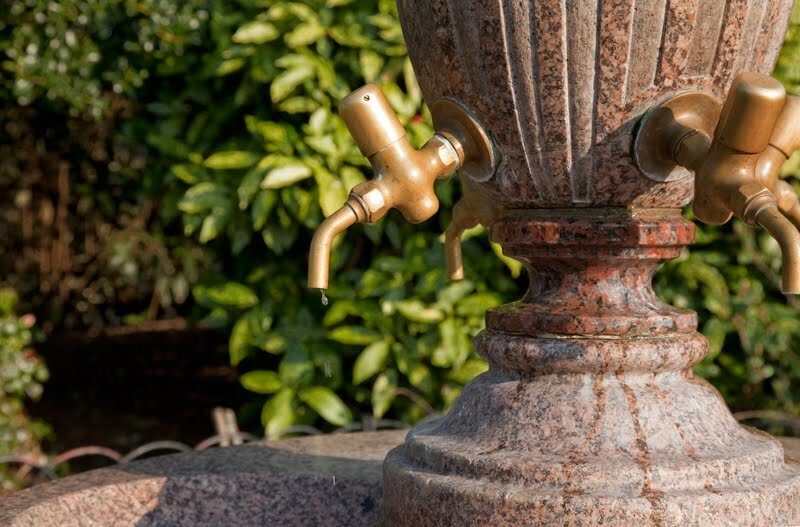 A modern take on an olde-worlde fountain. Fascinating. Beautiful fountain, and nice tie in to your troubles. Well done. I like the fountain. Glad your hard drive came back on. Lovely, it reminds me of the drinking fountains in Rome! this is really innovative in design but probably not something i'd have in my garden, i live in a flat, lol. it is both traditional and unusual at the same time, very interesting.